I applaud the Ritz-Carlton for making such a creative treatment for their spa in New Orleans. As a serious spa enthusiast, I generally book treatments that are the specialty of that spa. This treatment set a nice tone to start out my week in New Orleans. What makes this treatment a little different from just a soak and a massage is the tone set by the room, the whirlpool, and the staff. A double lounge whirlpool tub that is programmed for lighting, temperature, and time greeted me in a room that definitely had a New Orléans vibe. 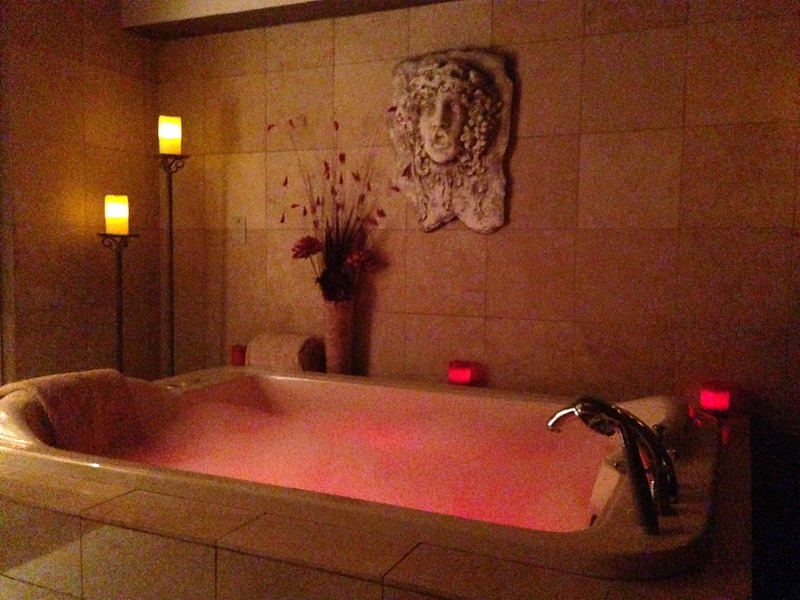 Red Drapes, red tub lights and a hot bubble bath set to 20 minutes was ready on my arrival. In the room incense was burning, and my therapist turned on some music featuring a drum vibe with a voodoo chat that set the tone nicely. Bubbles filled the tub and continued to build up during my soak. Lots of red candles surrounding my bath and tall stand candles operas in the room enhanced the bath. Ice cold towels within an arms reach were ready to cool off my neck, head, and wrists as I soaked. I also sipped Champagne which the helpful staff handed to me upon my arrival. The most interesting portion of the massage treatment was the oil they used. 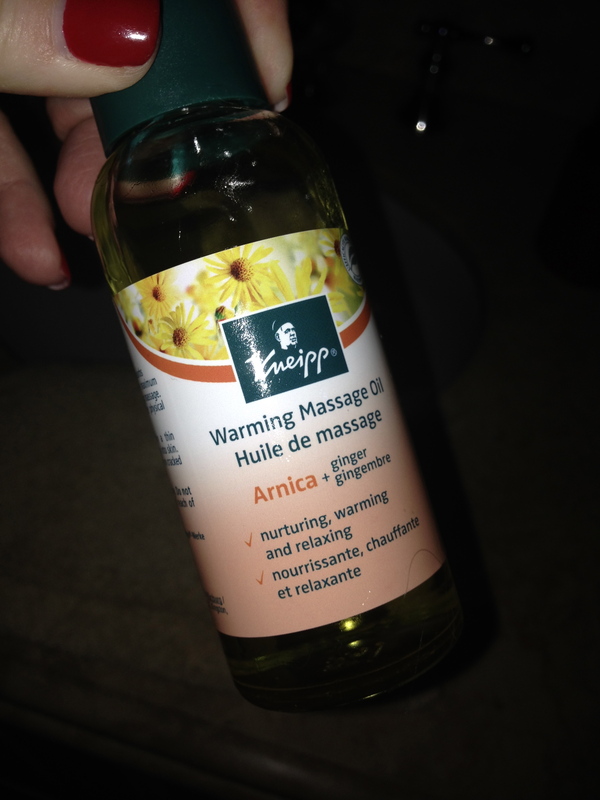 Kneipp warming massage oil with arnica and ginger, smelled great and had a warming effect and is the formula for the voodoo oil. The therapist used a combination of long soothing strokes, heated wet towels, a few hot stones, and of course the special voodoo oil. After my massage my skin felt soft and the aches from my flight were gone. If I were to book this treatment again, I would. My tip would be to book it in the late afternoon or early evening, and if possible, with your significant other. The treatment had a very romantic vibe, thus the “love” in the treatment name. It would be more fun to experience as a couple. This would be a great treatment to have prior to a late night on the Quarter. This service would also pair nicely with a late dinner. End your evening after midnight with a bar crawl down Bourbon Street to The Dungeon. This local bar features lots of skulls on the wall, caskets hanging from the ceiling, and drinks served in chalices with dry ice that give the appearance of blood. Continuing your voodoo vibe will make for a fun night. We are in New Orleans after all! I booked this service at 11am, as a solo with a pretty good hangover…but I was still thrilled to get into the spirit of the Quarter and still found it fun. I have experienced many unusual treatments, but none really that had a “cool factor.” Please let me know if you have had a spa experience with a cool vibe! This was not a paid visit. 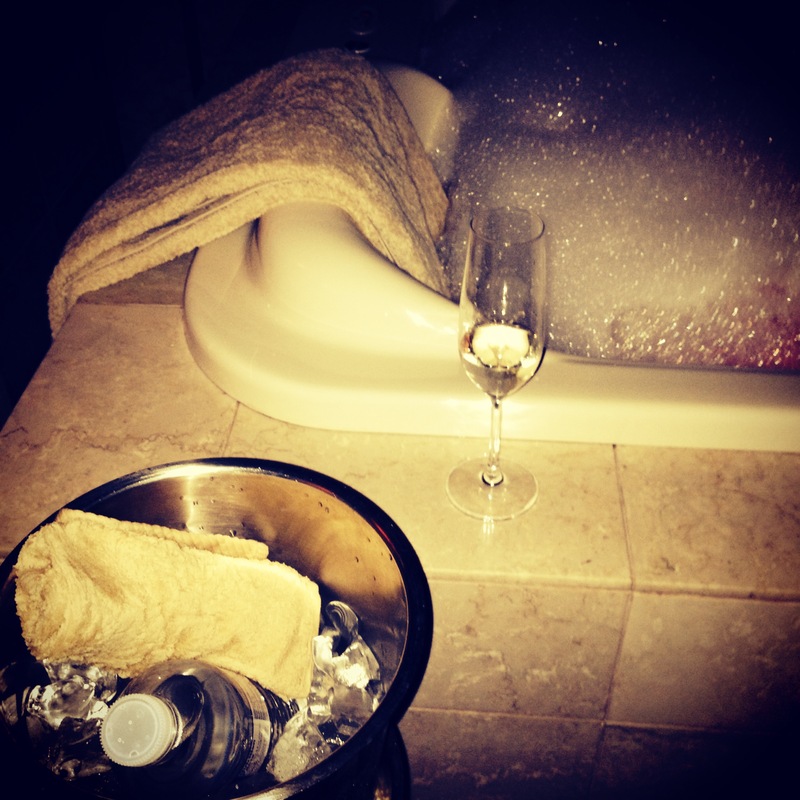 No special treatments were given other than being a guest of the Ritz-Carlton, New Orleans. This is my life. I love this. I’m living vicariously through you for spa visits! Wow! Sounds like a great spa to put on my “bucket list”! Thanks for the info! Ahhhh, just reading this made me want to book a trip! Very well written, your satisfaction is well received with your chosen verbiage! You have a great peace about you. This is a blog I will be excited to read on a regular basis. spot, you should build quality backlinks , it will help you to rank to google top 10. Thank you! I am trying to teach myself all aspects of internet marketing. I have 20 years experience in sales but this is a new frontier. Thank you for visiting and I will be working on this! Superb, what a webpage it is! This weblog provides helpful data to us, keep it up. Its such as you read my mind! You seem to grasp a lot about this, such as you wrote the e-book in it or something. up the good work! You recognize, a lot of persons are looking around for this info, you could aid them greatly. I just could not leave your website before suggesting that I extremely enjoyed the usual information a person provide for your visitors? it. You are making it entertaining and you continue to take care of to stay it sensible. have you employ someone to accomplish it for you? I use a WordPress premium platform and work on it myself. Thank you for your kind words and the visit! It’s a pity you don’t have a donate button! I’d without a doubt donate to this brilliant blog! I guess for now i’ll settle for bookmarking and adding your RSS feed to my Google account. I look forward to brand new updates and will talk about this site with my Facebook group. Chat soon!